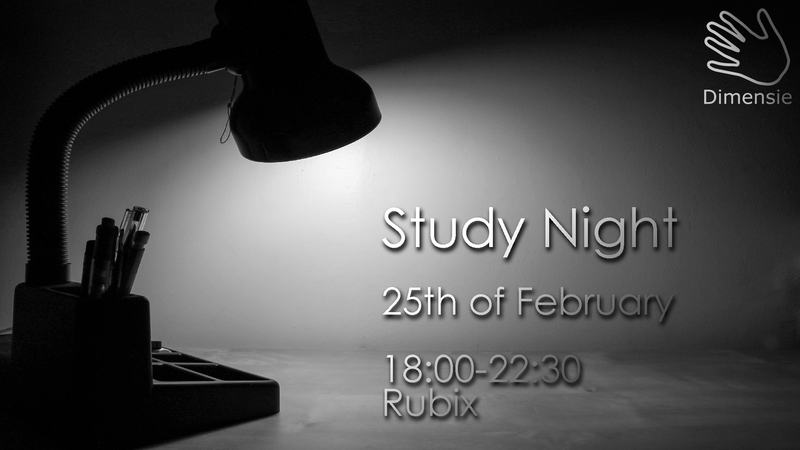 There is another study night in the Rubix: Dimensie will provide the snacks, drinks and positive vibes to get you focused for just a bit more. 1. The Cubicus is closed after 18.00, but there is a telephone number on the door. If you call, we will let you into the building. 2. You can order with us from "Wok to Go" for 18.00. You will have to pay for your order in the exact amount of cash or transfer the money that evening. If you want to order with us, pass on your order to board@svdimensie.nl before 15.00 that day. If you are a first-year student, you're in luck! The mentors have set up a way for you to prepare in groups for the Theory test on the 1st of March, by quizzing your fellow students. You don't have to prepare anything for this, except for subscribing to this event and bringing your books to the evening. Of course, it would be more convenient if you have studied the materials already to some extent and if you prepared some questions up front. The mentors will be present from 19.00-21.00, but of course, you can come before and stay after as well. It should be noted that the mentors are there to guide the quiz and not to answer content-related questions (since they are no teachers for the module ;) ).